Joywave release official video for "Destruction"
Check out the premiere on Nerdist. Video below. Joywave have released a new episode of Joy Meets World. Watch it below. Joywave will open for Metric on tour this February + March 2016. Joywave's "Destruction" (Kopps Remix) will be featured on the Need for Speed Soundtrack. Listen to the song below. Google premiered its new Android phone today: the Nexus 6P. Fans of Joywave, however, will notice an important detail. Google has featured "Tongues ft. Kopps" as music for their new announcement video. Joywave has released part two of their blog for Huffington Post, "Why Be Credible When You Can Be Incredible?". Joywave Remix Mikaela Davis's "When the White Horse Takes Me Away"
"When the White Horse Takes Me Away", originally a harp-driven, acoustic jam, has been electrified, laden with synths, and transformed into a danceable disco single. Joywave has posted the first article in their new Huffington Post series, "Why Be Credible When You Can Be Incredible?". EA Sports announced the Madden NFL 16 soundtrack release on August 3rd and HardCoreGamer mentioned "Destruction" as one of the "standouts" for the game's soundtrack. 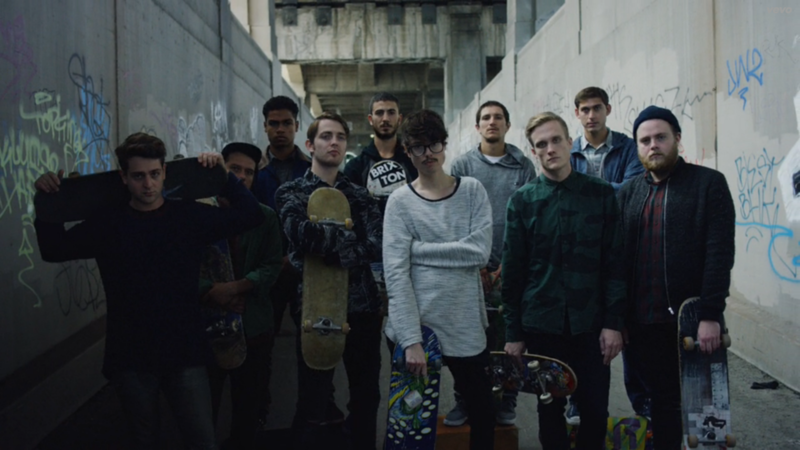 [WATCH] Joywave Discuss Playing the X Games, Being Introduced by Tony Hawk, and more! [NEW] Joywave - "How Do You Feel Now?" Out Now! Joywave's debut LP, How Do You Feel Now? is now out in stores and online today via Cultco Music/Hollywood Records. Grab a copy or stream the album at the available links below. Paper Mag premieres "Destruction", off Joywave's debut album How Do You Feel Now? out April 21 via Cultco Music/Hollywood Records. Listen here. [LISTEN] Eyedress Remixes Joywave's "Tongues"
“Tongues” off of Joywave’s How Do You Feel? EP was remixed by Filipino talent, Eyedress. Joywave has been set to perform at The Sound Factory stage powered by KUTX at X Games Austin 2015. Check out the premiere of a Joywave's “Bad Dreams” with Mick Jenkins and Little Simz via The Fader. You can find it here! Earlier today Stereogum premiered the music video for "Somebody New", the single off Joywave's debut album, How Do You Feel Now? Check it out below. Today Joywave announced the release of their debut LP 'How Do You Feel Now?' featuring single "Tongues feat. Kopps" out April 21st! Be sure to pre-order the album here and tune into Jimmy Kimmel Live on March 2nd to see them perform.